An interesting tale of a married nurse, who is mysteriously swept back in time to the eighteenth century where circumstances force her to marry a Scottish warrior and she is torn between her present and past. Where can you stream Outlander? On 2014-08-09 Adventure/Drama TV Series Outlander first aired on Starz. 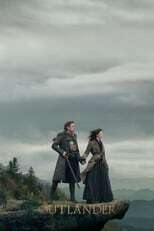 Written and created by Ronald D. Moore, and produced by Tall Ships Productions & Left Bank Pictures, Outlander will return and was last broadcasted on 2019-01-27.